Yesterday Alexey Miller, Chairman of the Gazprom Management Committee held at the Company’s Headquarters a meeting on the Shtokman gas and condensate field development. The Gazprom Headquarters hosted the Russian-Polish negotiations involving Alexander Medvedev, Deputy Chairman of the Company’s Management Committee, Michal Szubski, President of the PGNiG Management Board, as well as Members of the EuRoPol GAZ Management Board from Russia and Poland. Rosneft climbed to the 13th position in the annual ranking of the world’s top 50 publically traded energy corporations. In this recently published listing, an authoritative consulting firm PFC Energy ranked the companies by market capitalization as at the end of 2009. Rosneft corporate website has been ranked second best Russian company internet resource in a rating compiled on the basis of 2009 results by a Swedish analytical firm Hallvarsson & Halvarsson (H&H Webranking). Gazprom Neft launches ESPO (Eastern Siberia – Pacific Ocean) pipeline oil deliveries from Kozmino seaport. The first cargo of 100 thousand tons is to be shipped on January 30-31. 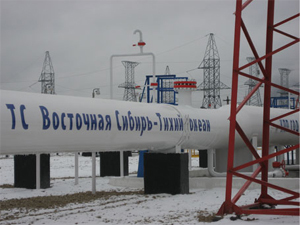 Oil and gas condensate production (all international upstream projects of LUKOIL Group except the oil field Tengiz) achieved more than 5.1 million tons (5% of the general oil production of LUKOIL), gas production – more than 5 billion cubic meters (29% of the gas output of LUKOIL). Construction of the Portovaya compressor station (CS), which is part of the Gryazovets – Vyborg gas trunkline, was launched today in the Portovaya Bay near Vyborg, Leningrad Oblast. The compressor station will be a starting point for gas supplies via the Nord Stream gas pipeline. In 2009 Sakhalin Energy exceeded planned targets for oil cargoes by more than 11% and for LNG deliveries – over 47%. Alexander Ananenkov, Deputy Chairman of the Management Committee, held at the Gazprom Headquarters a meeting on the current issues of the Dzhubga – Lazarevskoye – Sochi gas pipeline construction. 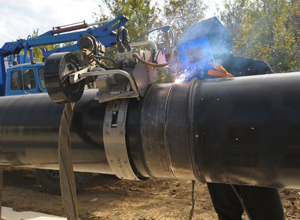 TNK-BP has significantly reduced the leak rate of its pipeline systems in 2009.